In a small saucepan, bring blackberries, water, and sugar to a boil. Reduce heat and simmer for 10 minutes, until the blackberries are soft and the simple syrup has turned to a bright pink/redish color. Remove from heat, drain blackberries, and allow to cool. This step can be done well in advance as the syrup will keep for at least a week in the refrigerator. Next, begin by adding 1 ounce of gin to each champagne glass. 1. Bring the water, honey, and sage to a boil in a pot over medium high heat. Reduce to low and simmer 3 minutes. Turn off heat and let syrup cool. It will thicken once cooled. 2. Fill your Old Fashioned Glasses with ice. Pour bourbon and cooled syrup over ice. Twist your orange peel directly over glass until you see the oils release. Place in glass with bourbon and garnish with a fresh sage leaf. 3. 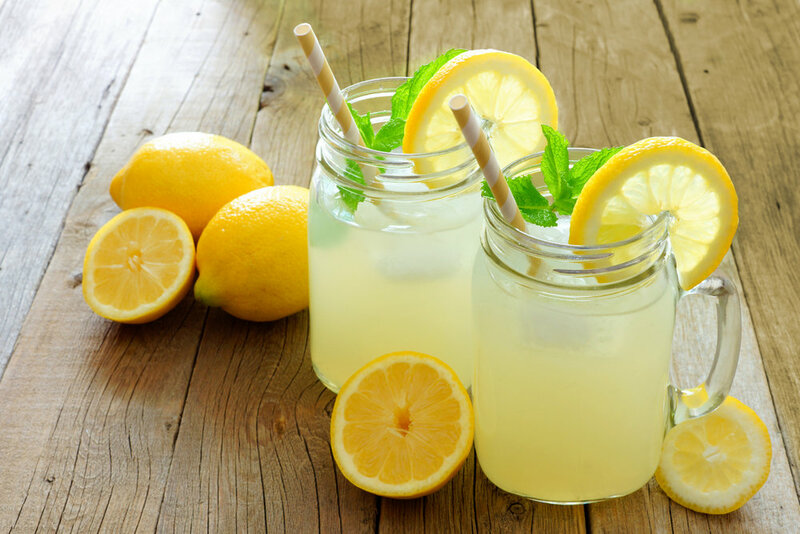 You can adjust the sweetness of this drink with additional sage honey syrup. Mix 1 cup each of water and sugar in a container; shake until combined. Add mint and steep for 24 hours. Purée watermelon in blender with vodka and lime juice until smooth; add mint syrup to taste. Transfer into a pitcher and chill until ready to serve. Pour over ice and garnish with fresh mint. 1. In a small saucepan, bring the blackberries, water and sugar to a boil. Turn to low and let simmer for 10 minutes. Strain blackberries and let syrup cool. Fill each glass halfway with Champagne. Add a touch of pomegranate juice to each glass until desired color is achieved. With a spoon, gently drop in pomegranate arils. 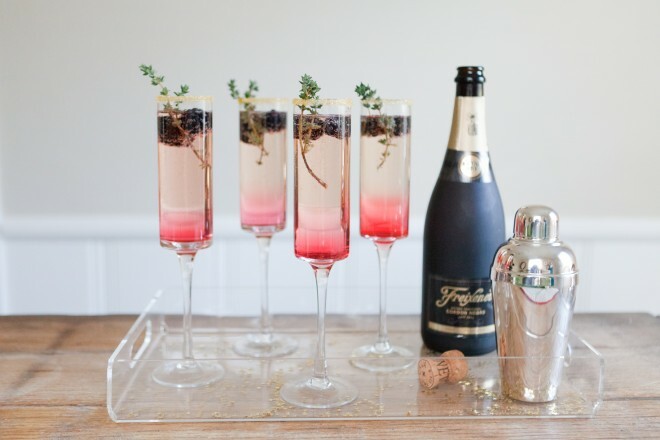 Garnish each glass with a sprig of rosemary. Whether you are waiting for the turkey to finish or sitting down and enjoying your Thanksgiving Day feast, the fall spin on a gin martini will pair wonderfully with your holiday meal. The apricot brandy and lemon juice add a subtle blend of fruit flavors to the martini base and prepares your taste buds for the mouthwatering bird you've been cooking all day. Pour the gin, vermouth, brandy, and lemon juice into a cocktail shaker with ice. 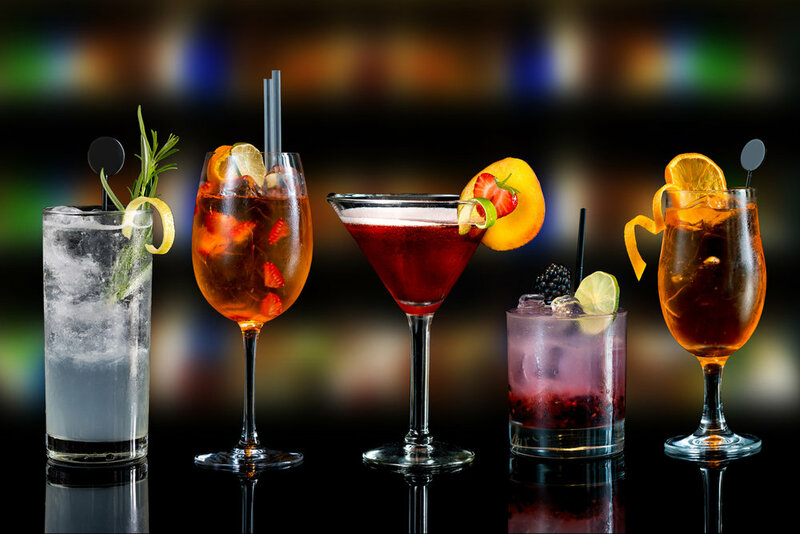 Strain into a chilled old-fashioned or cocktail glass. Add all ingredients in a mug (preferably copper) or collins glass with ice. Garnish with lime wedge. Fill copper mug or Collins glass with ice. Add lime juice and tequila, then fill with ginger beer and stir. 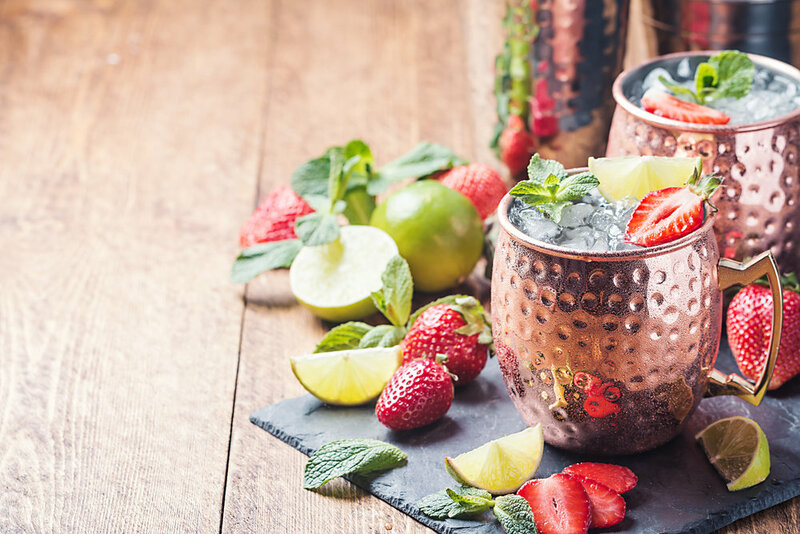 Muddle strawberries in the bottom of a Moscow Mule mug or other serving glass. Add vodka and lime juice. Add ginger beer and stir gently. Garnish with a fresh strawberry and serve. Add bourbon and lime juice to a copper mug or Collins glass with ice (crushed or cubed). Fill with ginger beer, garnish with a lime, and serve. Optional: We've always liked our bourbon drinks with a bit of mint on the nose, so if you'd like you can also clap a sprig of fresh mint between your hands (to bruise it) and garnish with that as well.